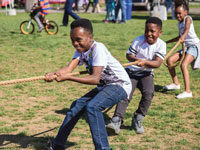 The Risa Fund continues its support of the 11th Street Bridge Project by funding wellness programs designed to connect the mind and body through movement. 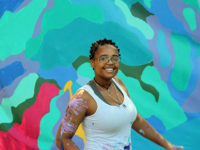 The Risa Fund collaborated with the 11th Street Bridge Park, Artolution, and ArtReach at THEARC to convene DC high school students through the collective painting of a mural envisioning a healthy city, community, and neighborhood. 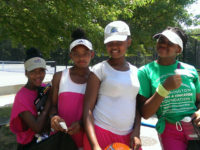 In 2014, the Risa Fund launched a program called Risa's ReMatch Tennis Drive, where gently used girls' tennis clothes and equipment are collected and donated to underserved, aspiring young tennis players around the country. 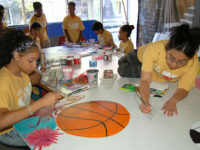 The Risa Fund sponsored Sitar's summer 2014 mural project, during which teen artists worked to strengthen their design and painting skills — as well as employment and life skills — through the creation of two large-scale murals. 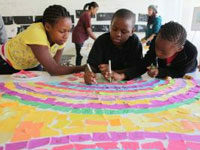 The Risa Fund invested in the ITCF Jaffa location's Girls at Risk Empowerment Program scholarship fund. Serving adolescent girls from impoverished neighborhoods, the program combines tennis education with overall enrichment disciplines, including: health and wellness, relationships and sexuality, female empowerment, leadership and communications, financial management, and family empowerment. On June 30, 2014, the Risa Fund sponsored a round-robin tennis tournament at the Washington Tennis and Education Foundation's Northwest DC location. Students from WTEF's 2 Washington, DC campuses gathered for a fun day of both singles and doubles matches along with refreshments and giveaways.